Veneer particle board is made from wood scraps fused together to form sheets of lumber. The lumber is covered with a piece of laminate or veneer that simulates real wood. This material is typically used to construct furniture. 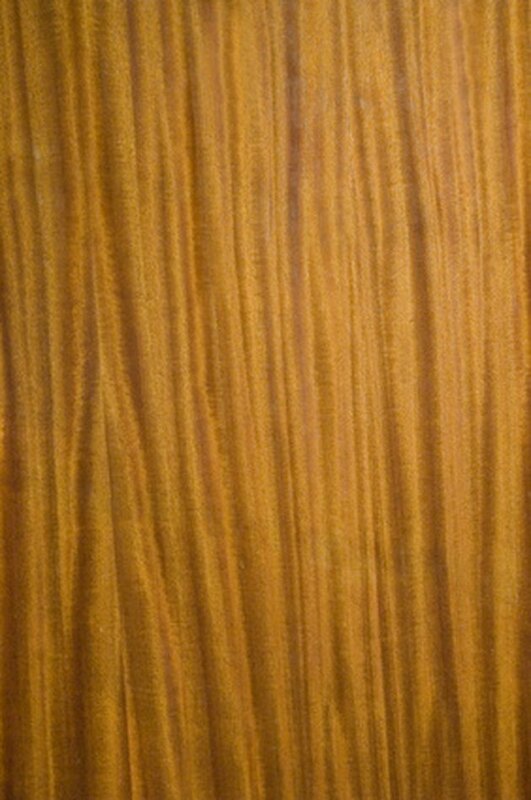 Furniture made from particle board veneer cannot be refinished down to the bare wood since the particles would splinter and chip. The furniture can be painted effectively. Veneer is a slick surface, so prep the surface well before painting. Don't be afraid to paint veneer particle board. Clean the cabinets with trisodium phosphate (TSP). Pour the TSP into a spray bottle and spray the solution on the furniture. Scrub with a clean rag to remove all residue. TSP will remove the dirt and will also dull the shine of the veneer, making it easier to paint. Sand the veneer to create texture on the surface of the furniture. Sanding will allow the primer to sink into the grooves and adhere to the furniture. Use medium-grit sandpaper and sand in a circular motion. Do not sand all the way through the veneer. Wipe away sanding dust with a damp cloth. Apply primer to the furniture with a good-quality brush or roller. A smooth foam roller will apply the paint in a thin, even coat. Use a primer that works well on slick surfaces. Apply two coats of primer, allowing the first coat to dry before applying the next. Saturate a smooth foam roller with interior latex paint. Roll the paint onto the veneer in a thin, even coat. Multiple thin coats will be less likely to chip and scratch than one thick coat. Allow the first coat to dry. Add two to three more coats. Apply polyurethane over the paint, using a paintbrush. Polyurethane comes in matte, satin or gloss finish. All three finishes will protect the veneer furniture from chips and scratches. Small bubbles may appear in the finish. These will disappear after a few minutes.